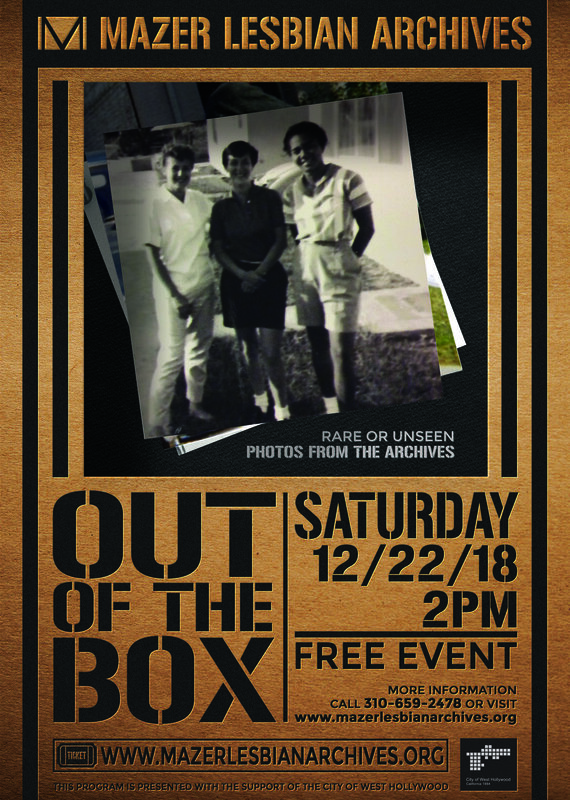 You are cordially invited to Out of the Box: Rare or Unseen photos. In light of sharing these unseen photos June L. Mazer Lesbian Archives is inviting you to personally participate by bringing a photo of your own with a caption to donate to the archives. Be a part of the incredible history that the members are so passionate about preserving. Furthermore archival and preservation techniques will be discussed in order to assure that your contribution is protected. The Archives encourages all lesbians to deposit the everyday mementos of your lives so that others can discover them in the future.